There’s always a moment when I’m en route to somewhere I’ve always wanted to go where I panic and think, what if it doesn’t live up to expectations? I have only ever heard good things about Abergavenny ’s Angel Hotel but had unforgivably not even made it to the town itself, let alone this revered establishment. Already, to anyone that will listen I have reported that neither the town nor venue let me down. We took the train from Cardiff, and 45 minutes later were jumping off the train. A quick walk down the hill we soon arrived on Cross Street. From the second I pushed the handle to enter the hotel and stepped foot inside, the stresses of the week disappeared. One of the Angel’s biggest claims to fame is its afternoon tea . It’s award-winning, and they’re justifiably proud of it and their inclusion as a member of the prestigious UK Tea Guild. 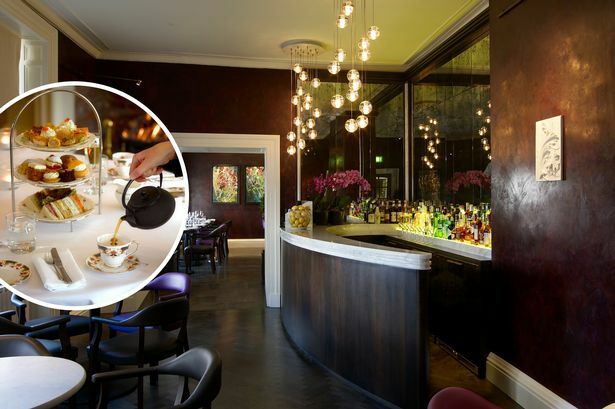 There are two options, either afternoon tea (£21.80) or the high tea including champagne (£26.80 each). After a quick mooch around the town, we opted for the high tea. As the champagne was poured, we were handed a tea menu, listing more varieties than I knew existed. Maybe it was our overwhelmed expressions or just their genuine desire to help, I don’t know, but either way we were given a whistlestop guide to the teas we could order. “Even if you only drink builder’s tea, there’s a Ceylon for you,” we were told. We both ventured to the Far East and were rewarded with light, fragrant teas which set off what was to come perfectly. A three-tiered cake stand promptly arrived, packed with goodies from handcrafted cakes, pastries and sandwiches – I was in cake heaven. 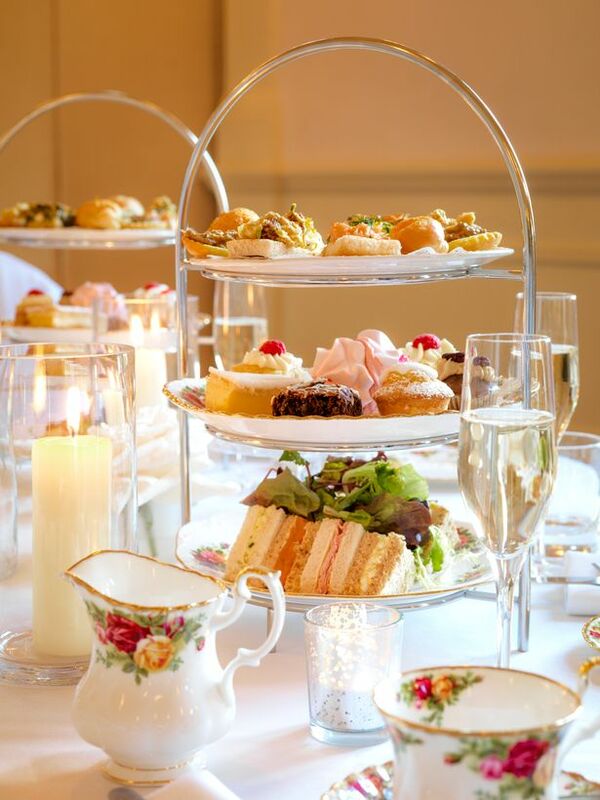 There were clever twists, from a bakewell cake to a savoury choux, but the quintessential elements that no afternoon tea would be without - egg sandwiches, scones and prawns. We just about wrenched ourselves off the sofa to enjoy a tour of the hotel. It is being renovated, stage by stage. The only sign anything is going on is the scaffolding in the courtyard (and the rain had ruined any dreams of sitting there anyway). Before I arrived, I thought The Angel was a fairly small venue, how wrong I was. We saw the three different types of bedroom, the ballroom, functions rooms and the on-site bar. I couldn’t help but think, whatever your reason for visiting there was something and somewhere for you to pull up a pew. If it’s a quick drink you want, there’s the Foxhunter bar, a fancy dinner? The Oak Room. 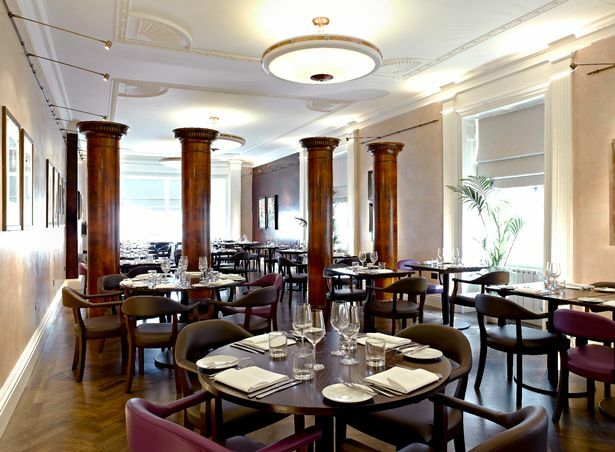 And even there, if you’re on a budget, there’s a dinner menu offering three courses for £27. It was in the Oak Room we took our seats for dinner. A modern design and airy room that seats more than I expected. On this busy Saturday night, there was a great buzz around the room, which was busy, but not packed. 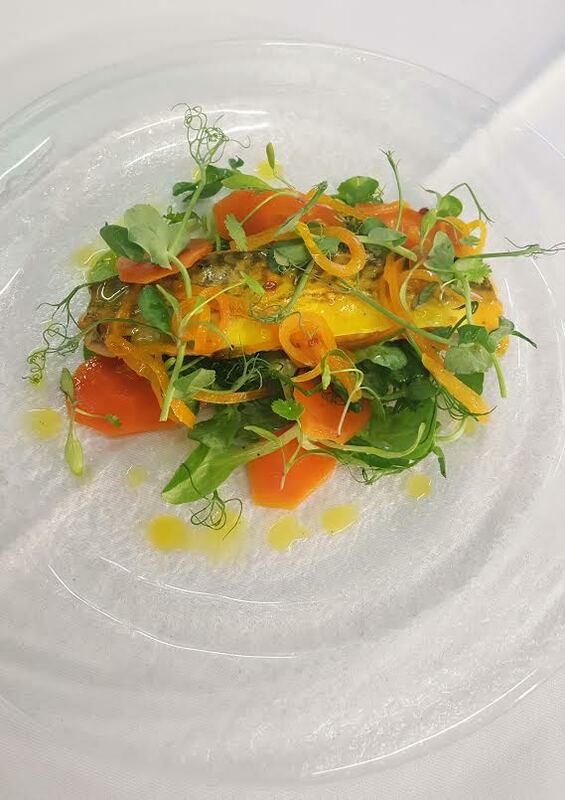 I started with a mackerel escabeche, accompanied by pickled carrots (£9) – it brought my tastebuds to life. 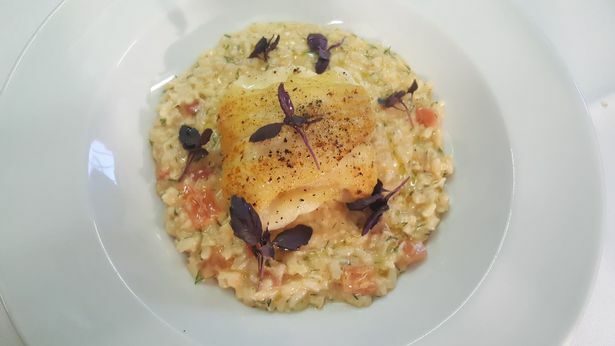 For mains, I had a delicious fillet of brill, with crab and an ingenious tomato risotto I’m still not entirely sure how they pulled off (£19). My partner started with a rich and tasty chicken and vegetable broth with tarragon dumplings (£6). Comforting but rich, it was a doubly great start. His main of duck breast, sweet potato, asparagus, confit fennel, raspberry jus was possibly slightly overdone for him, but that’s the only fault we could find in the whole 24 hours. We shared a cafe gourmand for pudding, but even that was decadent - a trio of small puddings served with coffee. We left the restaurant happily stuffed and in foodie heaven. For me, the food was just as I hoped it would be, but it was the little extras that pushed The Angel into the ranks of one of the best stays I’ve ever had. The staff are exceptionally friendly but not overbearing. They recognise you’re there to enjoy every second, so not only is checkout a luxurious noon, but breakfast is served until then too, so there is no rush. Their breakfast caters for everyone, and even vegetarians can get bacon and sausage - and they have some out of this world breakfast cocktails (a Bloody Mary made with smoked vodka? Why not). No matter who you are, or your budget, there is something for everyone at The Angel. But, if you do fancy a blow out, this really is a phenomenal place to do it. The Angel Hotel, Abergavenny, Monmouthshire, NP7 5EN. Current offers: A two night stay is currently on offer for £495. That includes full breakfast each morning, Champagne High Tea for two on one day and Dinner for two at The Walnut Tree, with a bottle of wine, on the other day (their other Michelin starred sister property), taxi to/from Walnut Tree, bottle of fizz on arrival in the room and complimentary upgrade to a deluxe room will be given where available.